The Ford Mustang has been an American icon of freedom, power, and automotive excellence for over 50 years. 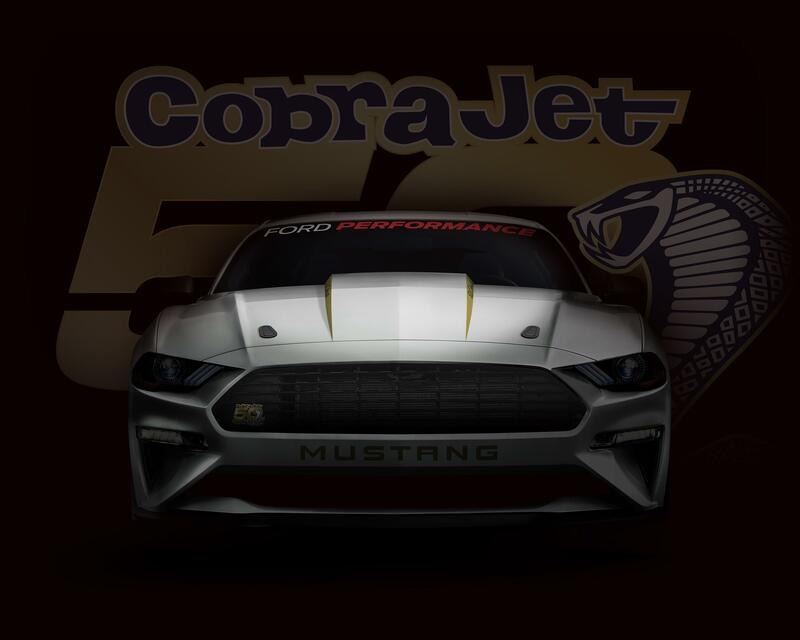 That well-deserved image is getting yet another makeover as Ford Performance readies the 2018 Mustang Cobra Jet. Built on the highly capable and proven platform of the 2018 Ford Mustang, this will be the quickest version of the car yet. You can order it and any other 2018 Mustang through your Southern California Ford Dealers. Few vehicles can even come close to the legendary status of the Ford Mustang Cobra Jet. It was fifty years ago that the first Ford Mustang Cobra launched, giving Americans a taste of what the performance car could do on drag strips from coast to coast. In the 1968 NHRA Winternationals, the Mustang Cobra Jet was a truly dominant force. It was built for going fast on the drag strip, edging out competitors with amazing command. Californians, along with everyone else, fell in love with the vehicle and everything it stood for. In the quarter mile, the car was mighty in every way, thrilling enthusiasts and even impressing people who knew little about racing. In fact, the Ford Cobra Jet has been a source of inspiration for countless Ford Mustang owners. They’ve used the many iterations of the car from the past five decades to create their own road warriors and track machines. That movement hasn’t lost steam, but if anything it’s gained momentum. Ford Performance has made several changes to the Cobra Jet for the 2018 model year. Without getting into any engineering details, know up front that the car is the most powerful and quickest version of the Mustang to ever emerge from the factory. It can run the quarter mile in the mid-8-second range, edging out the previous Ford Cobra Jet. Top speed tops out at 150 mph, too. At the heart of the 2018 Ford Cobra Jet is a supercharged 5.2-liter Coyote V-8 engine. It boasts a larger displacement than the Coyote V-8 in the Ford Mustang GT, thanks to the supercharger’s contribution. To handle the extra power, Ford Performance created a unique four-link rear suspension. It teams up with a Strange Engineering 9-inch solid rear axle for great straight-line acceleration from a standstill. 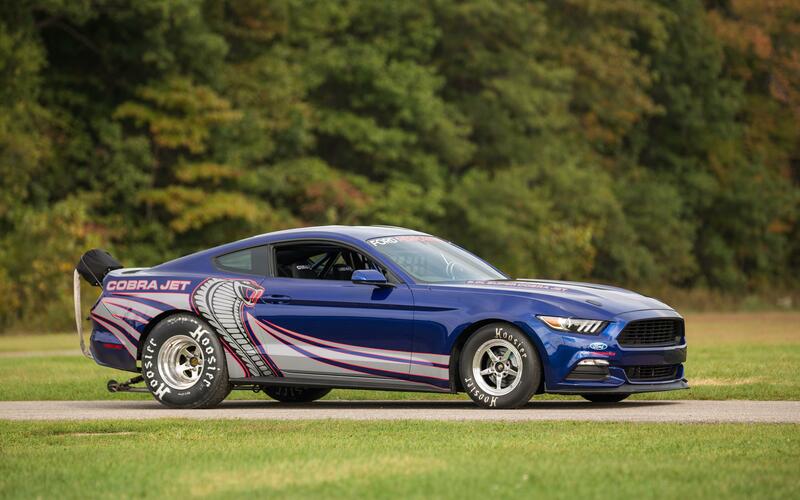 Proving this car has been built by Ford Performance as a true racer, it comes with a NHRA-certified roll cage. The driver sits in one of two Racetech FIA seats, which accommodate a racing harness. To shed unsprung weight without compromising structural integrity, the car features Weld Racing wheels that were specially designed for the Cobra Jet, plus they feature 50th anniversary badging. Even the coil-over suspension is specific for drag racing. Only 68 of these cars will be produced, each without a VIN. Lucky owners will be able to order the racer in Race Red or Oxford White, plus add an optional 50th anniversary graphics package and badges. They feature quite a few Ford Performance catalog parts, demonstrating modifications Ford Mustang owners can do to their own cars. Learn more about the 2018 Ford Mustang lineup by visiting your Southern California Ford Dealers today.